BERLIN (Bloomberg) -- Matthias Mueller, the new CEO of Porsche AG, faces his first test with the introduction of a new line of smaller Boxster sports cars. Mueller, 57, is tasked with reviving the luxury-carmaker's vehicle lineup. He will replace current Porsche CEO Michael Macht, who succeeds Jochem Heizmann as Volkswagen AG's production chief starting Oct. 1. Mueller led product management at VW's Audi luxury brand for four years through 2007 before moving to the parent company. Deliveries of the Boxster and Cayman mid-engine sports cars fell 12 percent to 7,630 in the first nine months, or less than half of Porsche's best-selling Cayenne model. To stop the drop, Porsche in February introduced the 53,100 euro ($67,000) Boxster Spyder, which features a 3.4-liter six-cylinder engine and is designed to be driven with its textile roof down. Mueller's appointment also underscores Winterkorn's push to complete a merger with the sports-car maker next year. Volkswagen, which aims to surpass Toyota Motor Corp. in deliveries and profitability by 2018, is taking over Porsche Automobil Holding SE's carmaking operations as the companies build on a partnership that includes sharing vehicle platforms. Porsche wants to expand its four-model lineup to double sales in the medium term to 150,000 cars and SUVs. Deliveries in the nine months through April declined 0.1 percent to 53,605 vehicles. Full-year sales may still exceed the 75,238 deliveries of fiscal 2009 as a new version of the Cayenne SUV, its best-selling model, and a six-cylinder Panamera car reach showrooms, the company said June 18. The Cayenne shares its chassis and major parts with Volkswagen's Touareg and the Q7 SUV made by Audi. Volkswagen also makes the Panamera's body. VW, Europe's largest carmaker, increased first-half sales by 15 percent to more than 3.5 million cars and sport-utility vehicles worldwide, Winterkorn said on Tuesday. Sales of VW brand cars exceeded 2 million, he said. New Porsche CEO Mueller headed Audi product strategy. By the end of 2010, VW group will have introduced 70 new models, facelifts or revamps worldwide, including about 30 for the VW brand, Winterkorn said. VW is negotiating with U.S. chief Stefan Jacoby over terms of his departure before he may take over as CEO at Volvo's car unit, people familiar with the matter said June 25. Departing Porsche CEO Macht, 49, spent a decade running Porsche's production before he was promoted to oversee the carmaking division when CEO Wendelin Wiedeking left the company following the collapse of plans to take over VW. 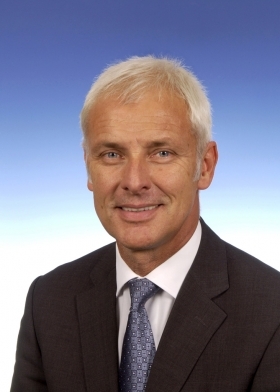 Winterkorn is now also CEO of Porsche SE, the sports-car maker's holding company. VW owns 49.9 percent of the Porsche AG auto-manufacturing unit in a first step toward the companies' merger. 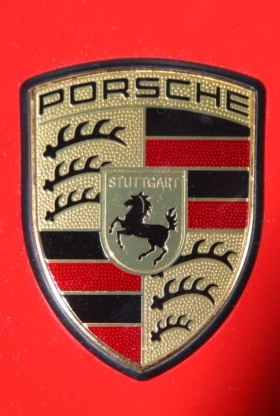 Porsche SE will proceed with a planned capital increase in the first half of 2011, Winterkorn said. VW still aims to complete the integration next year despite legal challenges by some hedge funds in the United States, the CEO said. Heizmann, 58, will run a new unit overseeing VW's truck holdings. He has been a member of Volkswagen's executive board since February 2007. His new role will be to tighten cooperation between truckmakers Scania AB and MAN SE, people familiar with the matter said in April. Volkswagen holds 71 percent of the voting rights in Soedertaelje, Sweden-based Scania and is the biggest shareholder in Munich-based MAN with a 29.9 percent stake.